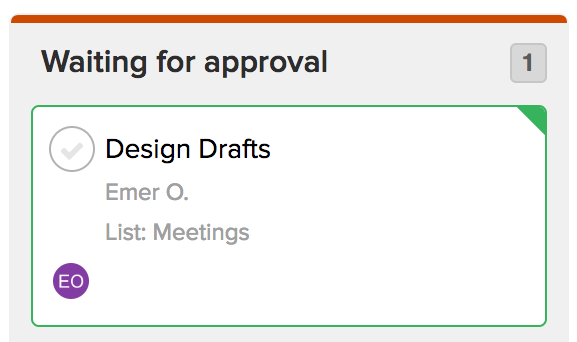 Within Teamwork Projects, you can add existing and new tasks to your board columns as cards. In the Tasks area of your project, switch to board view. Once you have columns created on your board, you can add tasks as cards directly using the Add a Card option at the bottom of the column. You can type the details and press return on your keyboard to add a few cards quickly one after the other, or use the options to choose basic details like the task list, assignee, due date, priority and more before saving. You can also add tasks to your board that are already in task lists in your project, by clicking Show Backlog in the top left of the board view area. You will see a panel on the left where you can scroll through the existing tasks from your project. At the top of the backlog, you can use the search field to find a specific task or task list by name. 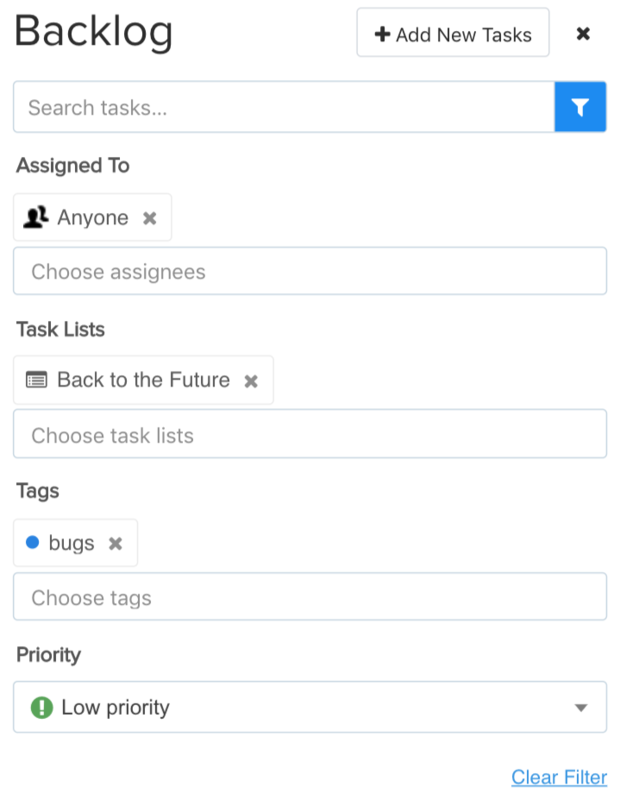 Using the filter option beside the search field, you can choose to show tasks by task list, assignee, priority or tag. The list of tasks will be grouped by the task list they belong to. To move task cards to a column, drag and drop the card from the backlog to the column you want to add it to. 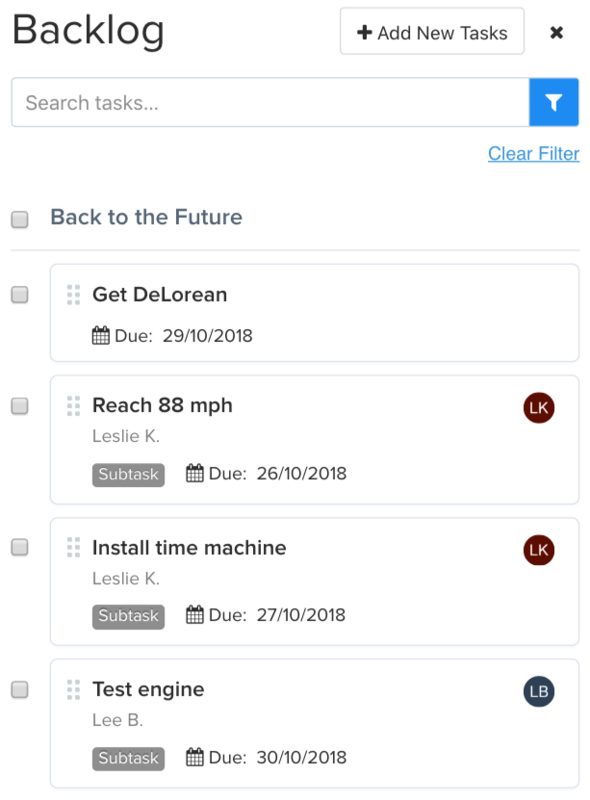 To move multiple tasks at the same time, you can use the checkbox beside the task list name to select all of the available tasks in the list(s), or use the individual checkboxes beside each individual task. When adding a task that has subtasks attached, only the parent task itself will be added to the column. You will see a gray circle to the left of the task name on the card, with a number denoting how many subtasks the task has. Clicking the card will open a quick view showing the task and its associated subtasks. Note: Subtasks are treated as individual tasks in board view and need to be added to columns independent of their parent task. They will appear as separate cards and can be added to different columns than the one the parent task is in. You can also add existing tasks to your board using the column options menu. Click the options down arrow to the right of the column name, and select Add Tasks from the dropdown menu. The tasks modal will show you a full list of all task lists and tasks in your project that you can select using the checkboxes and add to your board in bulk. 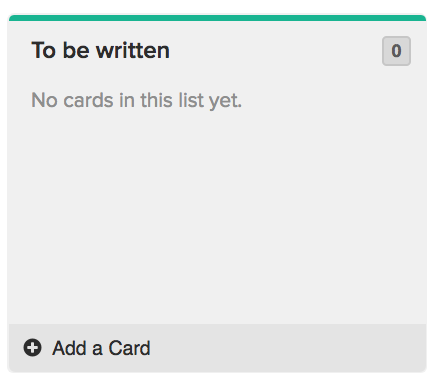 When task cards are added to a board column, any cards assigned to you will be highlighted by a green border.